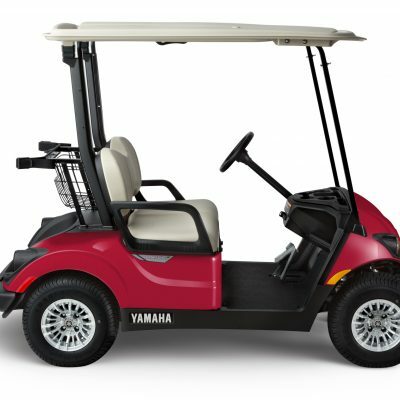 Powered by a rechargeable battery pack, the Yamaha electric cars only need to be recharged or plugged in every couple of days. They last on average 54 holes of golf. The electric motor is whisper quiet; perfect for residential areas, campuses and street use. Enjoy smooth starts and avoid turf damage without the jerky movements. 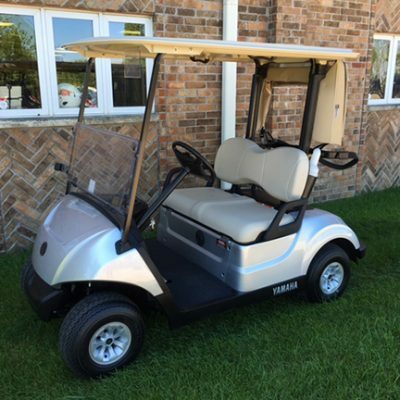 No fuel costs and low maintenance will keep you out of the shop and on the golf course! We have everything you need to customize and accessorize your personal golf car. Got your eye on one of these beauties?